The new offensive blade for use with pimple-out/Anti-Spin This new development has been conceived for players using pimple-out or Anti-Spin rubbers that have a preference for fast blades, yet require a high level of control and disruptive effect. The new offensive blade for use with pimple-out/Anti-Spin This new development has been conceived for players using pimple-out or Anti-Spin rubbers that have a preference for fast blades, yet require a high level of control and disruptive effect. The special plywood composition of MATADOR provides astounding power for a modern attacking game. 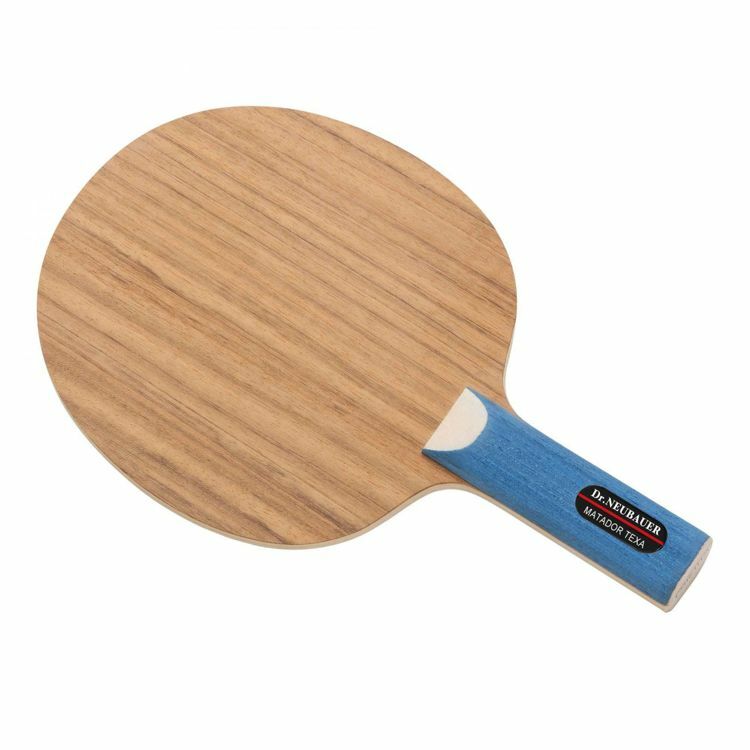 Fast topspin shots as well as looping with a lot of rotation are both very easy to perform.It is one of the very few OFF blades on the market that also produce a distinctive disruptive effect when used with pimple-out or Anti-Spin rubbers. Most importantly this blade produces the low bounce that all pimple-out or Anti-Spin players are traditionally looking for. This holds true while blocking passively with long pimples as well as for chop-blocking close to the table. When used with offensive pips-out rubbers this blade provides all you need for a powerful and highly effective attacking game. MATADOR is relatively rigid yet still provides a remarkable "touch" for the ball, offering a surprisingly good control for all playing strokes. MATADOR - A "must have" for aggressive pimple-out/Anti-Spin players!